When we are initially contacted to discuss a job, we are usually asked very early on what our architectural fees are. That is a very fair question, and to answer we need to have clarification and further details of what kind of home or renovation you are looking to have designed. It is important to go ahead and get this out of the way - we do not base our fees on a price per square foot. The size of a project is only one qualifier when we are calculating our proposal. Other factors include site conditions, complexity, timeline, and structural systems to name a few. These are all necessary components and ones that are easily shared by potential clients. However, one item that is usually more difficult to get a potential client to discuss is their budget for the project. We've heard numerous reasons for this, from the client being unsure of what they are willing to spend to not knowing how much they should be ready to pay, to not sharing the actual budget because we will make their project cost that. Two of those are good reasons, and we understand that you might not know how much you want to spend or know how much the home improvement or new construction should cost. We're going to help with the construction cost budget based on our experience with similar projects. The third reason above, not wanting to share your budget with us, will make things tough and throws up a few red flags that will likely make us unwilling to provide a proposal for our services. Knowing your budget allows us to provide a better estimation of hours it will take to complete your project, but more importantly helps us find out if it is even feasible for you to be able to have what you want constructed. Your budget does not govern our fees. It does however govern what you will be able to build. It guides how large the home can be, what finishes the home can have on the interior and exterior, the energy efficiency of the home, and how custom the home can be for you. Each of those items and numerous others can be defined as buckets, where the money you are willing to spend can be divided and placed into the corresponding bucket you desire based on the importance of that item. All of these individual buckets will see cash put into them, and depending on the bucket, it might be more than what you were expecting and won't allow some of the other buckets to get the amount you were hoping to place in them. For instance, a home on the ocean might require a piling foundation system, therefore that bucket will need a larger percentage of money placed in it than a home on better soil further inland. Recently, we’ve discovered that budget numbers for future projects need to be adjusted based on the current prices that we've seen based on the construction cost, which has increased from previously proposed designs. Below are a few different price points of construction, using costs per square foot and what you can expect to achieve for that cost. Keep in mind that the numbers below are for the construction budget and not the project budget. Interior Designer – if our full-service design package is selected, this is incorporated in the architectural fees. It is not a requirement for the project if you choose the abbreviated design service package, but you may opt to hire an interior designer for furniture, color, and finish selections. Structural Engineer – this will be a required consultant. We do not perform these services, but the building department will require signed and sealed engineering documents. (in Florida, these are the only signed and sealed documents required, you do not need an Architect to design your home, but clearly we think it's a good idea for a variety of reasons. Landscape Design – not a required consultant, but a helpful one that can bring their expertise to the table. Under our full-service design services, we will provide broad brush thoughts on the landscape, but we won't specify plants or groundcover. Energy Consultant – There are a few forms that the building department requires, including energy calculations, and the fees are typically less than $300. Above that, you can have this consultant perform inspection and evaluation services for different initiatives and certifications, including LEED for Homes and Florida Green Building Coalition (keep in mind those certifications requires their individual set of fees). Before taking a look at the numbers below, we need to have a small discussion on what areas of the home should be included in the overall square foot calculation to come up with the overall construction budget. Historically, you would take the heating and cooled square foot area and multiply that by the dollar amount. Previously we thought the starting range would be at the $125.00 per square foot level, but we just haven’t seen it happen in awhile. Home developers and builders building the same houses over and over can get to $125.00 and less because of their ability to purchase things in higher quantities for homes, unlike a typical Architect designed project that is a one off. This budget class will get you a lovely home using standard construction techniques and a good level of finishes. Exterior will probably be all cement fiber products with a larger lap siding exposure and minimal trim or a mixture of stucco and siding. Windows and doors will be more entry level with only a very few larger openings, and probably vinyl frames. Roofs will be simple without many different heights or roof lines with composition shingles. More than likely you will be looking at a slab on grade foundation system, so this will typically require a flat lot with good soil. Exposed concrete floors or inexpensive pre-engineered wood flooring in a few spaces with tile in the bathrooms and carpet in the bedrooms. Plumbing and lighting fixtures typically found in one of the big box home improvement stores and an appliance package under $8,000.00 - $10,000.00 with standard cabinetry. You're probably looking at builder-grade items at this price point. This price point is where we are now seeing the majority of our new build projects land. 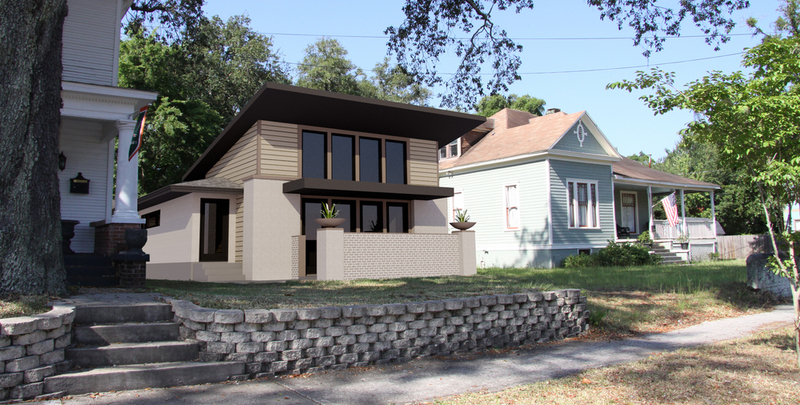 You can build a home for less, but usually, when an Architect is hired to design a home, the client is looking for something a bit more than standard. Exterior of the home can be cement fiber siding with smaller lap exposure and more interesting trim work, well applied smooth stucco systems and masonry elements. Windows can be fiberglass or clad wood windows, and larger opening can be introduced. Roofs can become more complex with other finish materials added, such as standing seam metal. Foundation allows for a more irregular site, and a stem wall foundation system can be incorporated. Larger spans with more advanced structural elements can be used. Insulation for the home can be spray foam throughout and features that increase the energy efficiency of the home can be introduced. Wood flooring can be used throughout the home, with higher allowances for other floor and wall finishes. You can have mid to higher grade plumbing fixtures (think Kohler) and nicer lighting fixtures. Appliances are now in the $15,000 - $20,000 range, and your choices for cabinetry and countertops begin to widen. Let’s not get too crazy, but quite a bit can be had for this price point. The house can be a full stucco system on concrete block wall or a long list of other framing/cladding systems. Windows can be high end clad wood windows, and large openings can be located in numerous places. Roofs can become more complicated with other finish materials introduced, such as standing seam metal, or tile. The foundation system allows for a more irregular site, with the incorporation of a stem wall foundation, and piling systems in some areas. Larger spans with more advanced structural elements can be used, and cantilevered elements incorporated. Insulation for the home can be spray foam throughout and features that increase the energy efficiency of the home can be introduced including geothermal systems. Wood flooring can be used throughout the home, with higher allowances for other floor and wall finishes. You can have higher grade plumbing fixtures and more designer items including specialty lighting fixtures. Appliances are now in the $25,000 - $30,000 range, and your choices for cabinetry and countertops begin to widen even more. Staircases become more of a design feature and can open to the rest of the home. Some audio/video integration and smart home features can be incorporated. This price point isn't if you can dream it, you can do it territory, but it's getting close. The budget will allow for much more custom elements on the interior and the exterior of the home. Exterior finishes are of higher quality, including brick, stone, and various cladding materials. Windows can be high end and custom made with larger openings throughout the home. Roofs can become even more complex with virtually whatever readily available material you want to use at your disposal. Foundation system allows for a more irregular site and its possible piers or piling systems can be employed for the home if required (think ocean front lots). Larger spans and cantilevers with more advanced structural elements can be utilized, including steel and concrete beams. The entire structure can be constructed with concrete block or insulated concrete forms. Wood flooring can be used throughout the home, with higher allowances for other floor and wall finishes. You can have higher grade plumbing and lighting fixtures. Premium appliances are now in the budget, and the majority of cabinetry and countertops made are available to you. Whole home audio and video controls and automation can be incorporated. The reason we want to share this information is to provide you with enough knowledge to allow you to make informed decisions, on both your needs and wants, and how they will drive the budget you should expect to have for your home. We understand that you may read this and think, “The above numbers are incorrect and other architects or builders have told me that I can build cheaper than what these guys have quoted above.” Because of that, you might think you have no reason to contact us to interview for your project, and that's okay. Although we would miss having the chance to meet you, so call us anyway! The numbers we've shared are what the builders we trust doing similar work are quoting and what we as designers are seeing across the markets. Each project and client is different, and is a variable when calculating the construction budget. Please do not hesitate to reach out to us with general questions or project specific questions, and we look forward to having a chance to help you make your dream a reality. 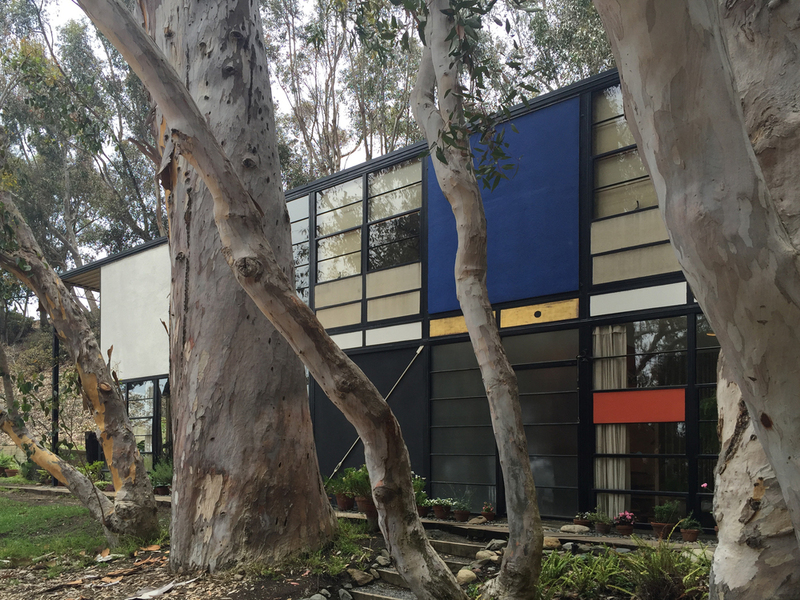 So it took me 50 years to finally see this house in person. Not really, more like 25 years. I am 50 now and I was in my early 20’s when I was drawn to the designs and work of Charles and Ray Eames. I had just returned from a nine week backpacking trip through Europe that opened my eyes to international design. 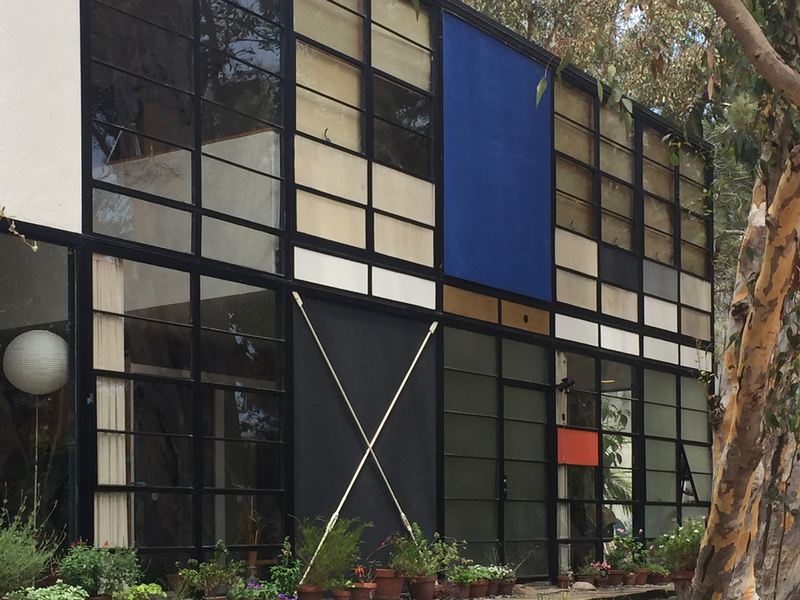 I saw a lot of amazing architecture in Europe, but Eames design was different. I had actually sat on their designs before I knew who they were. 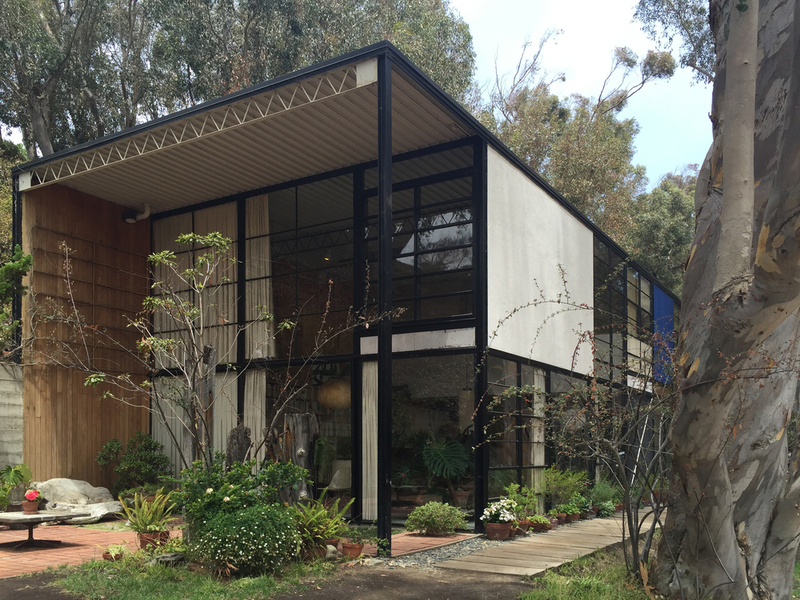 Charles and Ray were more than just chair designers that lived in a cool house that was designed from off the shelf steel parts. They designed furniture for Herman Miller as well as made films and exhibition design for companies like IBM and Polaroid. Needless to say I own too many Eames chairs at this point. A couple of years back I was officially cut off due to space in our home. People still question my sanity when I explain that the plywood thing hanging on the wall above the bar is a WWII era leg splint. 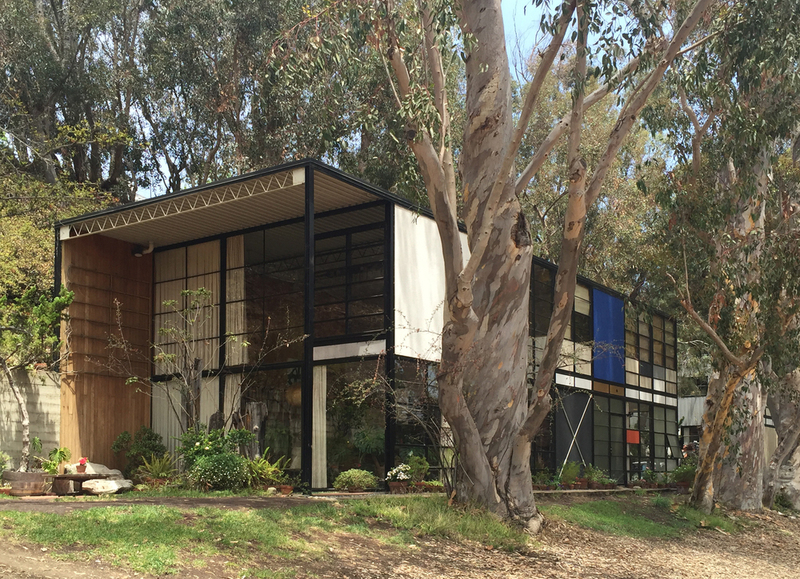 The Eames house is special because it is modern, but it acts as a backdrop for the things that inspired the couple. From items such as tumble weeds hanging from the ceiling to trinkets brought back from their travels, this home is anything but stark. It becomes the perfect pallette for all of their treasures. The home is being left as it was when Charles and Ray lived in it until their death. You get to see a glimpse into how the couple lived day to day. What can Modern Classics do for your interior? 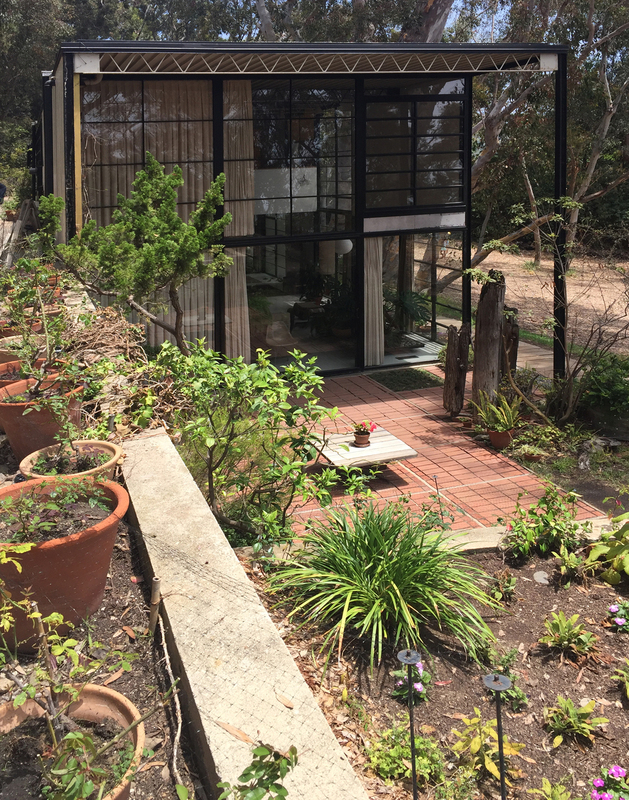 It is hard to believe that the term “Modern” or “Contemporary” can refer to architectural design and furnishings from the beginning of the 20th century. Designers and architects such as Le Corbusier, Mies van der Rohe, and Marcel Breuer, often associated with the Bauhaus movement coined terms like, “Less is more” and “A house is a machine for living”. We use the term “Modern” for many of our current designs. At Content, we feel like Modern, as well as being a design aesthetic, describe a lifestyle. Homes and interiors are changing from the 90’s McMansions to more versatile spaces for relaxing, entertaining, raising families, and even working. Gone are the days of formal living and dining rooms. New Modern design offers functional spaces that are comfortable, easy to clean, energy efficient, and easy to maintain. So why are we talking about modern classics? We feel like the classics anchor modern design and when inserted into classic spaces add an interesting balance. Most modern classics designs can be considered antiques so they add an interesting twist to classic style architecture. You can see this in a farm house with a huge dining table, surrounded by chairs designed by Charles and Ray Eames. The image below also shows classic lighting by Artemide. A Corbusier lounge instantly updates a classic space even though the lounge was designed in 1928. A Barcelona chair, Mies daybed, and Noguchi coffee table transforms this cold space into a warm and inviting modern home. This classic Womb Chair by Eero Saarinen softens and anchors the corner of this room by adding the organic shape and recognizable form. So hopefully you will consider modern classics in your next design project. Whether you live in a brand-new, sleek, modern home, or a 200-year old farm house; classics juxtaposed with other furnishings can certainly make a statement. The classics are usually manufactured by the original manufacturer. These pieces are licensed, hold their value, and can become family heirlooms. Often frowned upon, but more affordable pieces can be found on online furniture sites and are typically imported from China. The quality is nowhere near the originals, but this can be an affordable way to find out if this type of furniture is for you. And finally, search out antique stores for vintage pieces. Reasonably priced antiques are becoming harder to find, but sometimes you get lucky like when I found our Eames DCM for $5.00 from a local thrift shop. No matter what you do, have fun, experiment, and MODERN on! This blog claims no credit for any images posted on it unless otherwise noted. Images on this blog belong to their respective owners. If there is an image on this blog that belongs to you and you do not wish for it appear on this site, please e-mail us with a link to said image and it will be promptly removed. You've known us as Content Design Group since the beginning, 9 years ago. Since then we've expanded and evolved and we thought it was time for our brand to reflect those changes. We're still the same old guys, who are passionate about great design, and making this city the best it can be! We couldn't have done any of it without our wonderful, talented friend Amber Aultman, who put up with us through the whole process and still likes us (we think).